Avatar is a new and very high yielding, late heading tetraploid perennial ryegrass containing the NEA endophyte. Avatar was bred for a combination of improved animal safety and persistence against insect pests. Available from spring 2019. Raider is a new and very persistent and high yielding diploid perennial ryegrass which has been selected for superior persistence under attack from insect pests such as black beetle, Argentine stem weevil and pasture mealybug. 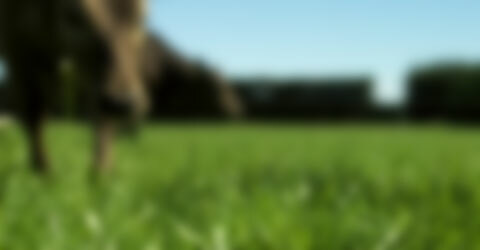 Ultra Enhanced ® perennial ryegrass is a fine leaved, very densely tillered, late heading diploid Enhanced ® ryegrass which combines the best traits of its parents - the high levels of pasture production available from perennial ryegrass, coupled with the feed quality attributes of meadow fescue. Matrix is a thoroughly proven, high performing and uniquely different Enhanced ® perennial ryegrass variety of meadow fescue and perennial ryegrass parentage, having high ME and digestibility and with very high year-round yields. Sequel is a high performing, densely tillered, late heading (+20 days) diploid Enhanced® perennial ryegrass. High year-round growth rates including strong cool season performance, high in pasture quality (ME, digestibility) and palatability, with very good persistence and disease resistance. Helix is a fine leaved, very densely tillered mid-heading (+6 days) diploid enhanced perennial ryegrass. It has strong winter growth, year-round yield performance and is hardy and persistent. Now contains standard endophyte for improved persistence. A highly palatable new densely tillered, high yielding, and late heading (+20 days) tetraploid perennial ryegrass with high winter, early spring yields, high pasture quality and good disease resistance. Barrier is a specialist insect tolerant, and highly palatable, animal-safe perennial grass variety for use where insect pests are a serious threat to the productivity and persistence of your pastures.